I am an associate professor and the NSERC/Facebook Industrial Research Chair of Human-Machine Interaction at the University of Toronto. My general area of research is the leveraging of computing technology to enable users to live better lives. This work includes the development of user interface software, interaction methods, sensor hardware, new device form factors, development platforms, and operating system architectures. Talks about my work in may be found online: haptics & high performance UX, post-WIMP user interfaces, and the symphony of devices. (see Research for a list of all publications). Michelle Annett, Tovi Grossman, Daniel Wigdor, George Fitzmaurice. 2019 (in press).Exploring and Understanding the Role of Workshop Environments in Personal Fabrication Processes. To appear in ACM Transactions on Computer-Human Interaction. 37 Pages. Zhicong Lu, Michelle Annett, Mingming Fan, Daniel Wigdor. 2019. 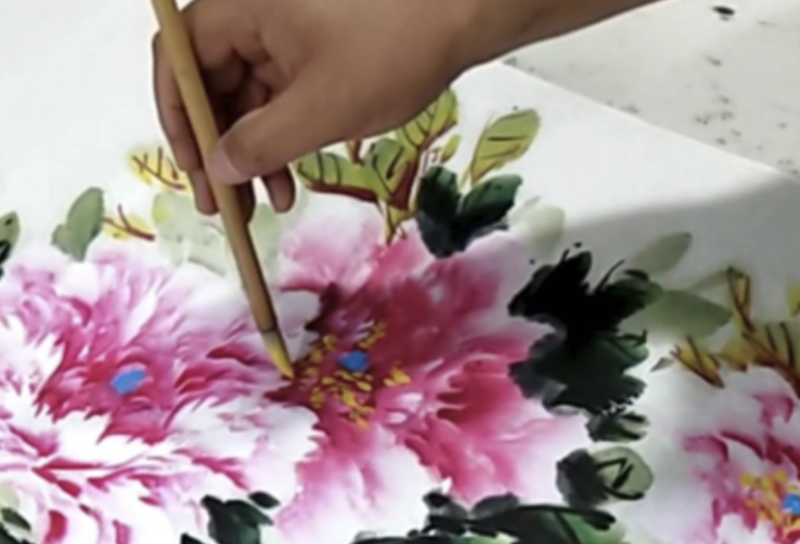 “I feel it is my responsibility to stream”: Streaming and Engaging with Intangible Cultural Heritage through Livestreaming. Conditionally accepted for Proceedings of the 2019 CHI Conference on Human Factors in Computing Systems (CHI ’19). ACM, New York, NY, USA. Jacob Ritchie, Daniel Wigdor, Fanny Chevalier. 2019. 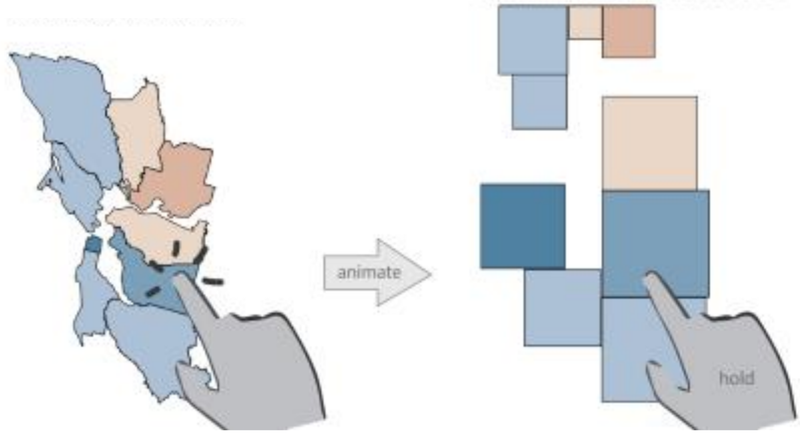 A Lie Reveals the Truth: Quasimodes for Task-Aligned Data Presentation. Conditionally accepted for Proceedings of the 2019 CHI Conference on Human Factors in Computing Systems (CHI ’19). ACM, New York, NY, USA. Zhen Li, Michelle Annett, Ken Hinckley, Karan Singh, Daniel Wigdor. 2019. 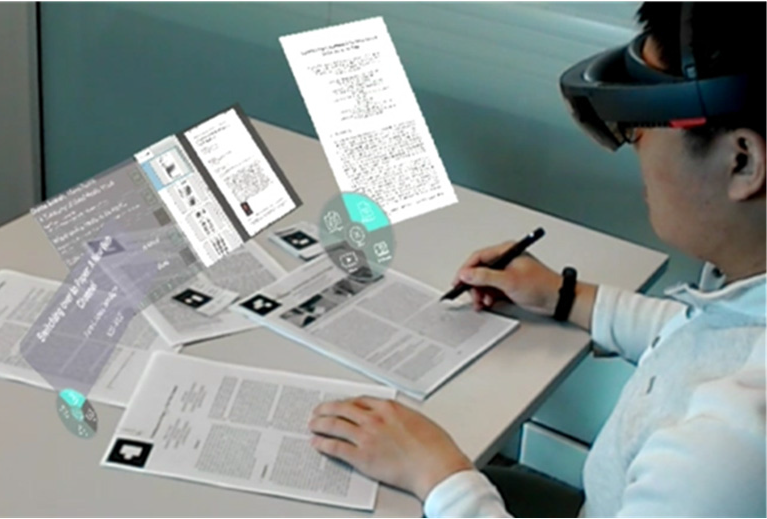 HoloDoc: Enabling Mixed Reality Workspaces that Harness Physical and Digital Content. Conditionally accepted for Proceedings of the 2019 CHI Conference on Human Factors in Computing Systems (CHI ’19). ACM, New York, NY, USA. Zhen Li, Michelle Annett, Ken Hinckley, Daniel Wigdor. 2019 (in press). 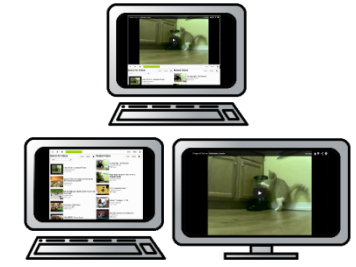 SMAC: A Simplified Model of Attention and Capture in Multi-Device Desk-Centric Environments. To appear in Proc. 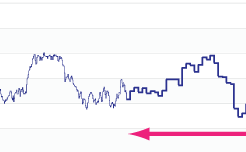 ACM Hum.-Comput. Interact. 3, EICS. (to be Presented at EICS 2019). Lu, Z., Fan, M., Zhao, J., Annett, M., Wang, Y., Wigdor, D. (2019). 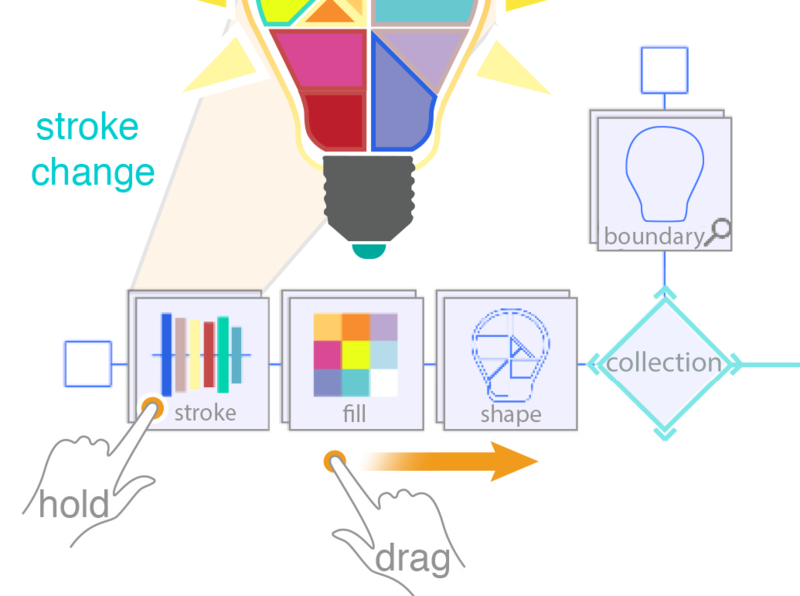 InkPlanner: Support Prewriting with Intelligent Visual Diagramming. IEEE Transactions on Visualization and Computer Graphics. 25(2), 277-287. (presented at IEEE VAST 2018). Zhicong Lu, Seongkook Heo, and Daniel J. Wigdor. 2018. StreamWiki: Enabling Viewers of Knowledge Sharing Live Streams to Collaboratively Generate Archival Documentation for Effective In-Stream and Post Hoc Learning. Proc. ACM Hum.-Comput. Interact. 2, CSCW, Article 112 (November 2018). Presented at ACM CSCW 2018. Haijun Xia, Sebastian Herscher, Ken Perlin, and Daniel Wigdor. 2018. 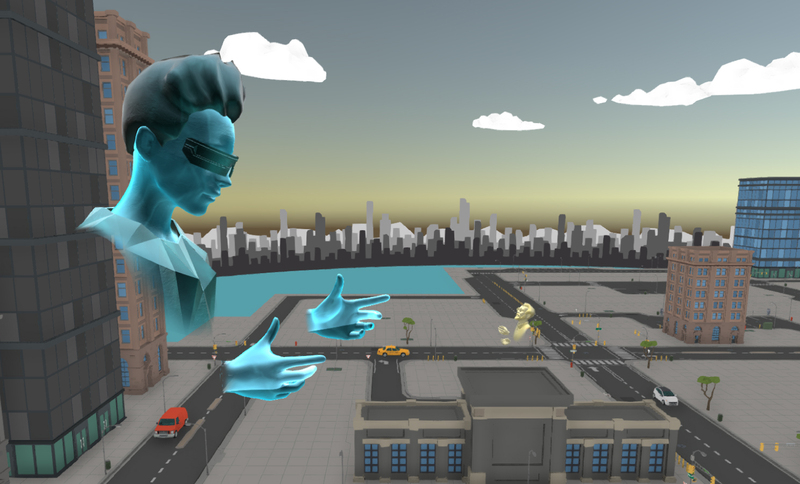 Spacetime: Enabling Fluid Individual and Collaborative Editing in Virtual Reality. In Proceedings of the 31st Annual ACM Symposium on User Interface Software and Technology (UIST ’18). ACM, New York, NY, USA, 853-866. Perumal Varun Chadalavada, Goutham Palaniappan, Vimal Kumar Chandran, Khai Truong, and Daniel Wigdor. 2018. 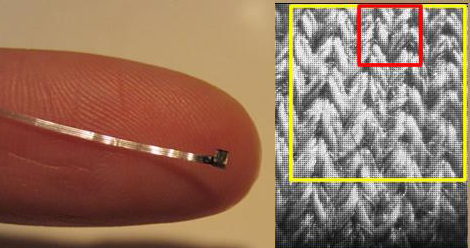 ID’em: Inductive Sensing for Embedding and Extracting Information in Robust Materials. Proc. ACM Interact. Mob. Wearable Ubiquitous Technol. 2, 3, Article 97 (September 2018), 28 pages. Presented at UBICOMP 2018. Matthew Lakier, Michelle Annett, and Daniel Wigdor. 2018. Automatics: Dynamically Generating Fabrication Tasks to Adapt to Varying Contexts. ACM Trans. Comput.-Hum. Interact. 25, 4, Article 22 (August 2018), 44 pages. (presented at ACM UIST 2018). I will be dropping-by the HCII to give a seminar this Friday. Take the subway to the Queen’s Park station. Walk west along the north side of College St. Turn right (north) at St. George. Enter the BCIT building, the 2nd door (newer building) on the west side of the street. Take the elevator to the 5th floor. Drive to College St., turn north onto Huron (1 block west of St. George, 1 block east of Spadina). Enter the BCIT parking garage and take the elevator to the ground floor. Turn left to enter the lobby, and take the elevator to the 5th floor. Chatham Labs is a new company spun out of the group. Chatham does contract research and product envisionment for companies on the leading edge of HCI. The group is looking to immediately hire large numbers of researchers and post docs. Welcome back to Fall 2018. Students in my graduate class, please see the CSC2604 Information Sheet for details. Recall that Zhen has volunteered to present our papers in our first session in two weeks. Please bring your reaction reports as a printout to class. I have spent a year on sabbatical visiting Cornell Tech in New York City. I look forward to returning to U of T in the fall, where I will be teaching CSC318 at UTM, and a graduate class on distributed user interface tools. See you in class! 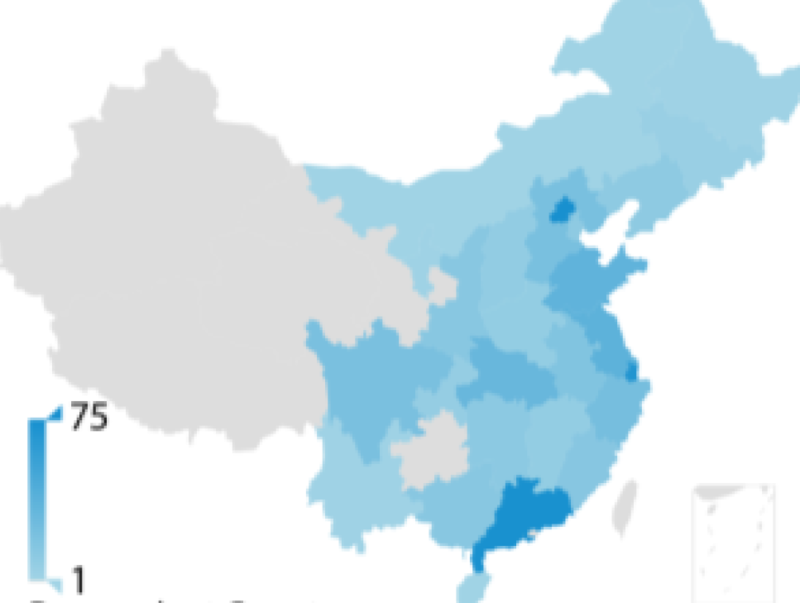 I am very proud to say that two students from the group, Nicole Sultanum, and Haijun Xia, were recognized for their work with CHI 2018 Honorable Mention awards. Congratulations to them and to all of their co-authors! I will be conducting my sabbatical visiting the fabulous team at Cornell Tech in New York City for a year beginning in July. I look forward to connecting with all the great HCI in NYC! As of July 1, I will be a tenured associate professor at U of T.
I have volunteered to serve as co-Program Chair for ACM CHI 2017. Ready your submissions! I was honored to learn that I was selected for a 2015 Alfred P. Sloan Foundation Research Fellowship. This is a wonderful endorsement of the work my team of incredible students, staff, and post docs have been building along with our collaborators for the last several years. i have been asked to give the keynote address at the 7th ACM Symposium on Engineering Interactive Systems (EICS 2015) on June 24 in Duisburg, Germany. Hope to see you there. Ricardo Jota, my PDF, was recently presented with the Mitacs Postdoctoral Award for Outstanding Innovation for his research with Tactual Labs. We are all exceedingly proud of his accomplishments. I have been asked to give an Invited Talk at GI 2015 in Halifax, NS, June 3-5, 2015. Hope to see you there. I will be giving an invited talk at Yahoo! Research in Sunnyvale on August 8 entitled “Vertical Software Design & Cross-Device Software Tools”. I will be speaking at Microsoft Research in Redmond on June 10, entitled “Enabling a Symphony of Devices”. 2014 saw the introduction to CHI of the People’s Choice Best Talk Awards. The top 8 talks among hundreds were chosen by the audience. I’m proud to say 2 of those selected were given by students on my projects: Xiang Anthony Chen for Duet, and Jishuo Yang for Panelrama. Congratulations to them both! 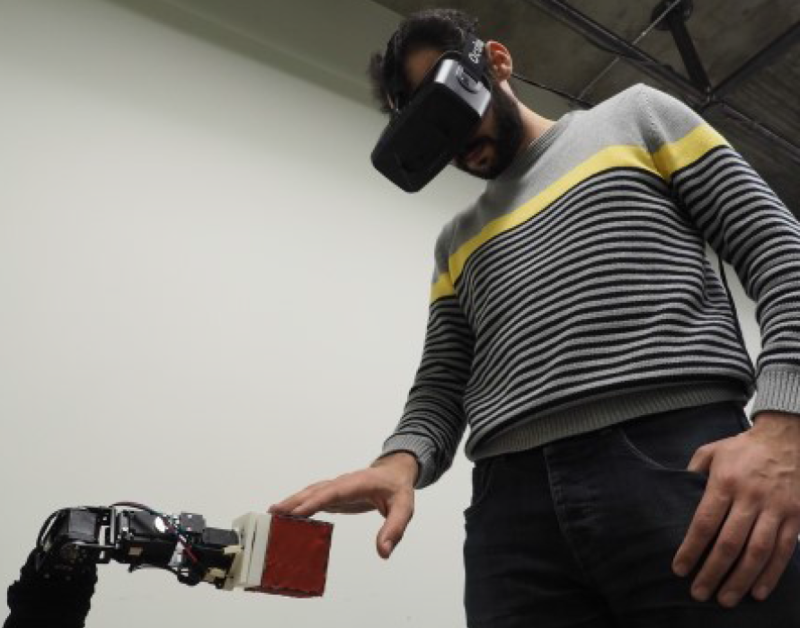 Conductr, a startup from the lab seeking to commercialize our work on the Symphony of Devices, was recently discussed in the MIT Technology Review. I was honoured to have been selected as a recipient for an Ontario Early Researcher Award. As always, this would not have been possible without the great work of my students and post docs, as well as the wonderful support of the department here at U of T.
The team behind Duet: Exploring joint interactions on a smart phone and a smart watch was pleased to learn the project has been named one of CHI2014’s best papers. We look forward to sharing the work with the conference. The CHI People’s Choice Best Talk Award has been officially announced. If you’re coming to CHI, get ready to pick your favourites for special recognition! We are pleased to announce that UIST 2014 papers will be due on April 16 through PCS. The official call will appear on the ACM website shortly. Tuesday, November 19 @ UC Berkeley; Wednesday, November 20 @ Google Research; Thursday, November 21 @ Adobe Research; Friday, November 22 @ Stanford. I have volunteered to co-chair the PC for UIST next year with Mira Dontcheva. Ready your submissions! 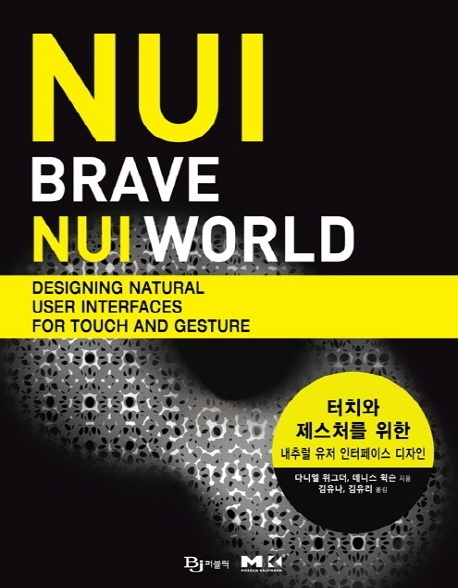 Our book, Brave NUI World | Designing Natural User Interfaces for Touch and Gesture, is now available in Korean. Dr. Ricardo Jota and I were named recipients of U of T’s Inventors of the Year award for 2013. This recognises work built upon our 2012 UIST paper, Designing for Low Latency Direct-Touch Input. The project was co-invented with Steven Sanders and Clifton Forlines of Tactual Labs, where the tech has been spun out, and with the generous support of Microsoft. In the spirit of “no good suggestion goes unpunished”, I have volunteered as CHI’s first chair of “People’s Choice Talk Awards” (for 2014). Our goal is to reward high-quality talks by allowing conference attendees to vote for their favourites. The People’s Choice Awards will be presented at the end of the conference. So, CHI 2014 presenters, be on notice: a good talk can lead to fame and fortune! I was pleased to learn this week that the Connaught Fund will be sponsoring my lab with a New Researcher Award at the top level of funding. Thank you to U of T for their continued support. We learned this morning that Mike Glueck‘s paper, A Model of Navigation for Very Large Data Views, has been selected for the Michael A.J. Sweeney Award for best student paper at GI 2013. Congratulations to Mike, and to our co-author, Tovi Grossman of Autodesk. Our book, Brave NUI World | Designing Natural User Interfaces for Touch and Gesture, has been translated into Chinese. Mike Glueck will be presenting our paper, A Model of Navigation for Very Large Data Views, at GI 2013. This work is done in collaboration with Tovi Grossman at Autodesk Research. My collaborators and I will be presenting 3 papers at ACM CHI 2013, April 29-May 2 in Paris. Tactual Labs is a start-up deciated to the development of technologies related to high-performance interactive systems, building on work done in the lab. My collaborators and I will be presenting 3 papers at ACM UIST 2012, October 7-10 in Cambridge, MA. I and Kay Hofmeester of the Microsoft Windows team (and my former colleague at Microsoft Surface) will be speaking at SXSW Interactive, March 9-13, in Austin, TX. Brave NUI World | Designing Natural User Interfaces for Touch and Gestures has been released! We sold out all copies at ACM CHI, but it can now be ordered from Amazon.com and elsewhere. I mentor graduate and undergraduate students, as well as postdoctoral fellows, who are passionate about inventing the future of human-computer interaction. Undergraduates are typically engineering students conducting thesis work, CS students enrolled in project courses, or USRA or UTRECS scholarship recipients conducting summer research. My graduate students come from diverse backgrounds, but share a record of academic excellence and demonstrated passion for invention. If you are looking for research opportunities: first, review my team’s research. If it piques your interest, contact me to set-up a time to discuss your interests. Note that most U of T students conduct an M.Sc. prior to beginning a Ph.D. Unlike many programs in the U.S., however, our M.Sc. program is fully funded without teaching or RAship responsibilities, and students are expected to work full-time towards their research. All M.Sc. students submit work to one or more top-tier conferences prior to graduation. My general area of research is the leveraging of computing technology to enable users to live better lives. This work includes the development of user interface software, interaction methods, sensor hardware, new device form factors, development platforms, and operating system enhancements. Selecting an area of research above will provide more information, and will also filter the list of publications below. The ultimate aim of ubiquitous computing is to seamlessly blend the physical and digital worlds. One of the primary barriers to achieving this is latency: the time between an input to the system, and its response to that input. Latency impairs performance, adds frustration, causes "cyber sickness", and in general is a sign of low-quality. Our aim is to purge all systems of latency. We began by examining the psychophysics of latency perception and its impacts on human performance, which gave us a baseline target for our systems (2ms - 50 times faster than is typical today). To achieve this, we have developed software tools, re-architected OS input processing, built models of human movement to enable prediction, and have developed sensors capable of detecting input 3 orders of magnitude more quickly than current commercial devices. This project continues in several directions within the group here at U of T. It also has spun-out as a startup company, Tactual Labs, which is seeking to commercialize the work. Post-WIMP user interfaces seek to create interface technologies tailored to the modality and context of use. 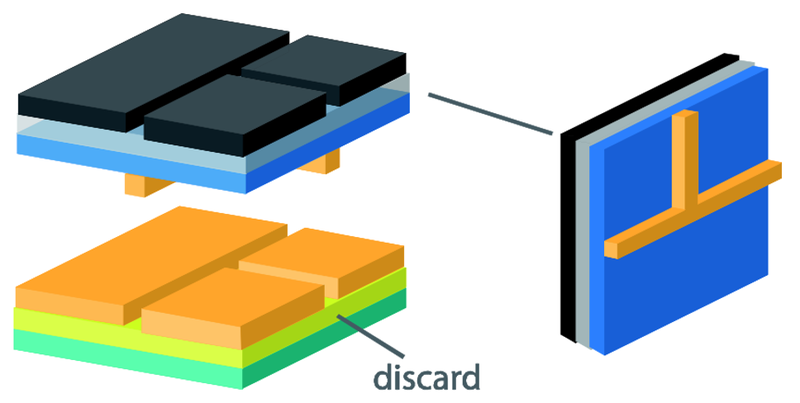 The WIMP is designed to enable efficient form-filling, based around the input-processing-output model of HCI. While this is highly effective for mouse and keyboard-based desk use, modern systems have moved far beyond the physical desk. Mobile applications demand continuous feedback, and, for example, touch- and pen-based systems offer the opportunity for far higher bandwidth input. No-doubt due in large part to the WIMP and I-P-O model's popularity, these UI paradigms have been adopted for form factors for which they were not designed, and are far from the ideal. The post-wimp UX project seeks in the micro to develop more effective UI techniques, and in the macro to provide methods to enable us to bust out of the WIMP rut. This talk shows some of my work in this space. A side note for student seeking employment in computer science, this is a recording of my "job talk" at the University of Toronto. The Internet of Things promises a future in which devices can be always connected, and tied-in to your personal cloud. The present manifestation of this is a series of technologies which allow people to switch between devices: watch a movie on your phone, and push a button to move it to the TV. This is a terrible waste. Why not enable user experiences to seamlessly expand to take advantage of all of the technologies in a space? Symphony of Devices is an examination of how user experiences of the future will exist between devices, rather than run on a particular platform or device. This project has spanned many years, and has included in-situ study of users, the development of unique user interface technologies, and the creation of a platform which enables applications to grow and shrink to any configuration of devices available to it. 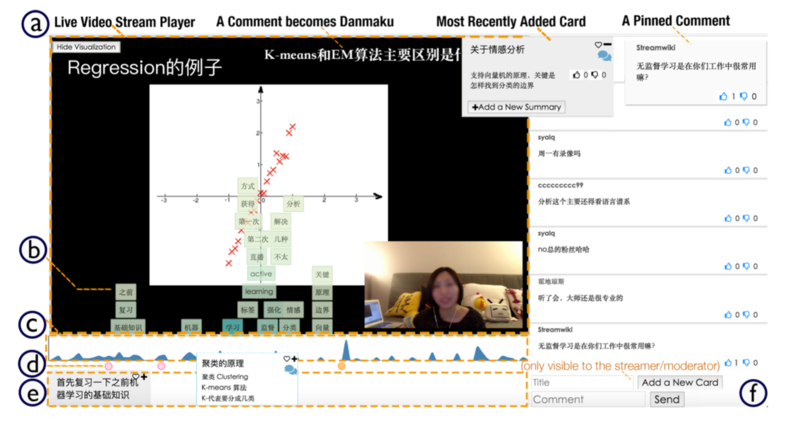 Recently, two of the papers from this project (Panelrama, which describes our platform, and Duet, which describes interaction methods) were chosen as People’s Choice Best Talks at CHI 2014, and Duet was chosen as a Best Paper. This talk at Microsoft Research in April of 2014 sums-up several of the papers which make-up the Symphony of Devices research project. Each of these papers (and more) are described individually below. The video is embedded here; see the Microsoft Research page featuring the talk for slides. Haijun Xia, Nathalie Henry Riche, Fanny Chevalier, Bruno De Araujo, and Daniel Wigdor. 2018. 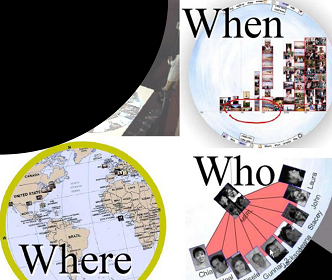 DataInk: Direct and Creative Data-Oriented Drawing. In Proceedings of the 2018 CHI Conference on Human Factors in Computing Systems (CHI ’18). ACM, New York, NY, USA, Paper 223, 13 pages. Nicole Sultanum, Michael Brudno, Daniel Wigdor, and Fanny Chevalier. 2018. More Text Please! 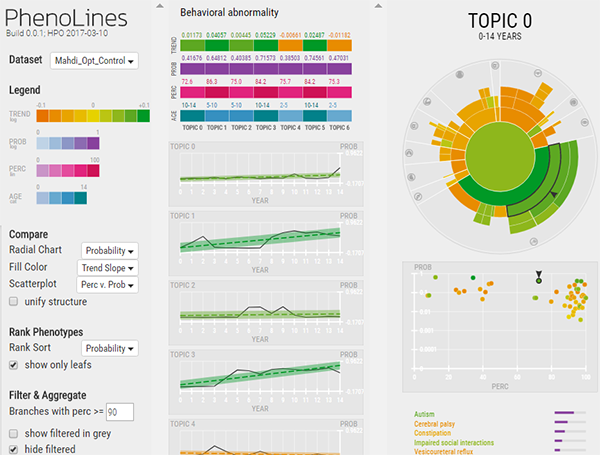 Understanding and Supporting the Use of Visualization for Clinical Text Overview. In Proceedings of the 2018 CHI Conference on Human Factors in Computing Systems (CHI ’18). ACM, New York, NY, USA, Paper 422, 13 pages. Seongkook Heo, Christina Chung, Geehyuk Lee, and Daniel Wigdor. 2018. Thor’s Hammer: An Ungrounded Force Feedback Device Utilizing Propeller-Induced Propulsive Force. In Proceedings of the 2018 CHI Conference on Human Factors in Computing Systems (CHI ’18). ACM, New York, NY, USA, Paper 525, 11 pages. Haijun Xia, Bruno Araujo, and Daniel Wigdor. 2017. Collection Objects: Enabling Fluid Formation and Manipulation of Aggregate Selections. In Proceedings of the 2017 CHI Conference on Human Factors in Computing Systems (CHI ’17). ACM, New York, NY, USA, 5592-5604. Sidharth Sahdev, Clifton Forlines, Ricardo Jota, Bruno De Araujo, Braon Moseley, Jonathan Deber, Steven Sanders, Darren Leigh, and Daniel Wigdor. 2017. GhostID: Enabling Non-Persistent User Differentiation in Frequency-Division Capacitive Multi-Touch Sensors. In Proceedings of the 2017 CHI Conference on Human Factors in Computing Systems (CHI ’17). ACM, New York, NY, USA, 15-27. Michelle Annett, Matthew Lakier, Franklin Li, Daniel Wigdor, Tovi Grossman, and George Fitzmaurice. 2016. The Living Room: Exploring the Haunted and Paranormal to Transform Design and Interaction. In Proceedings of the 2016 ACM Conference on Designing Interactive Systems (DIS ’16). ACM, New York, NY, USA, 1328-1340. Varun Perumal C and Daniel Wigdor. 2016. 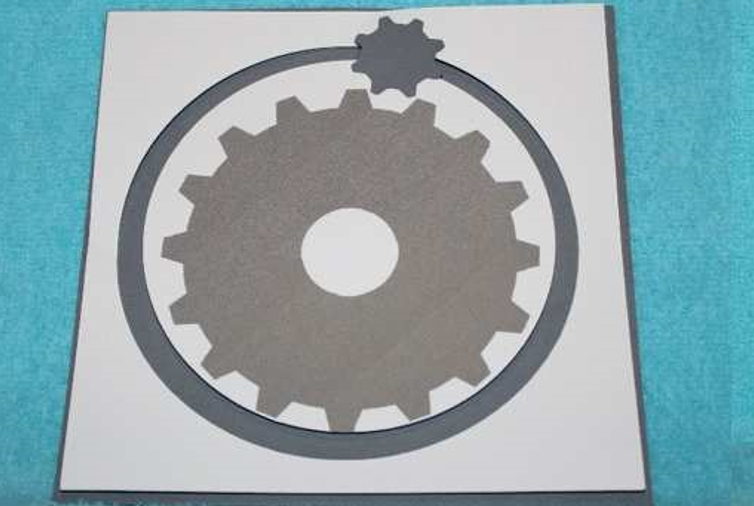 Foldem: Heterogeneous Object Fabrication via Selective Ablation of Multi-Material Sheets. In Proceedings of the 2016 CHI Conference on Human Factors in Computing Systems (CHI ’16). ACM, New York, NY, USA, 5765-5775. Anuruddha Hettiarachchi and Daniel Wigdor. 2016. 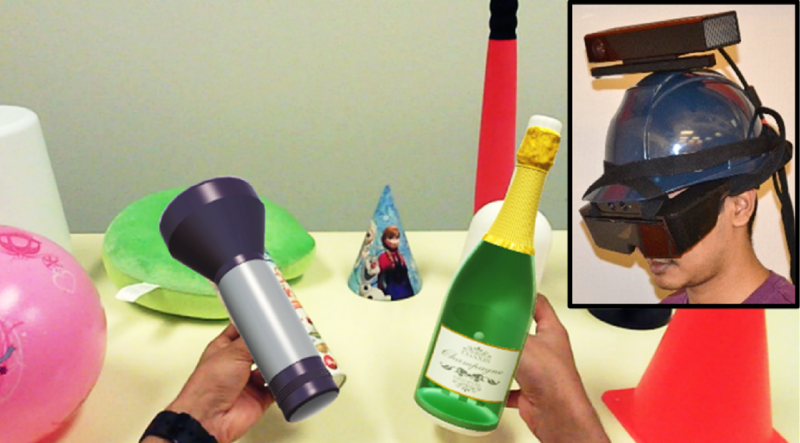 Annexing Reality: Enabling Opportunistic Use of Everyday Objects as Tangible Proxies in Augmented Reality. In Proceedings of the 2016 CHI Conference on Human Factors in Computing Systems (CHI ’16). ACM, New York, NY, USA, 1957-1967. Jonathan Deber, Bruno de Araujo, Ricardo Jota, Clifton Forlines, Darren Leigh, Steven Sanders, Daniel Wigdor. 2016. Hammer Time! 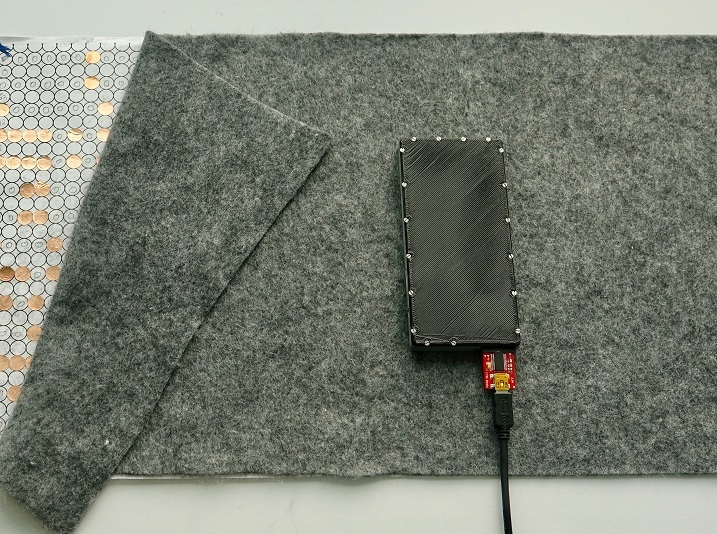 : A Low-Cost, High Precision, High Accuracy Tool to Measure the Latency of Touchscreen Devices. In Proceedings of the 2016 CHI Conference on Human Factors in Computing Systems (CHI ’16). ACM, New York, NY, USA, 2857-2868 pages. Haijun Xia, Bruno De Araujo, Tovi Grossman, and Daniel Wigdor. 2016. Object-Oriented Drawing. In Proceedings of the 2016 CHI Conference on Human Factors in Computing Systems (CHI ’16). ACM, New York, NY, USA, 4610-4621. Bruno de Araujo, Ricardo Jota, Varun Perumal, Jia Xian Yao, Karan Singh, and Daniel Wigdor. 2016. Snake Charmer: Physically Enabling Virtual Objects. In Proceedings of the TEI ’16: Tenth International Conference on Tangible, Embedded, and Embodied Interaction (TEI ’16). ACM, New York, NY, USA, 218-226. Varun Perumal C and Daniel Wigdor. 2015. Printem: Instant Printed Circuit Boards with Standard Office Printers & Inks. In Proceedings of the 28th Annual ACM Symposium on User Interface Software & Technology (UIST ’15). ACM, New York, NY, USA, 243-251. Michelle Annett, Tovi Grossman, Daniel Wigdor, and George Fitzmaurice. 2015. MoveableMaker: Facilitating the Design, Generation, and Assembly of Moveable Papercraft. In Proceedings of the 28th Annual ACM Symposium on User Interface Software & Technology (UIST ’15). ACM, New York, NY, USA, 565-574. Ricardo Jota and Daniel Wigdor. 2015. Palpebrae superioris: exploring the design space of eyelid gestures. In Proceedings of the 41st Graphics Interface Conference (GI ’15). Canadian Information Processing Society, Toronto, Ont., Canada, Canada, 273-280. Jonathan Deber, Ricardo Jota, Clifton Forlines, and Daniel Wigdor (2015). How much Faster is Fast Enough? 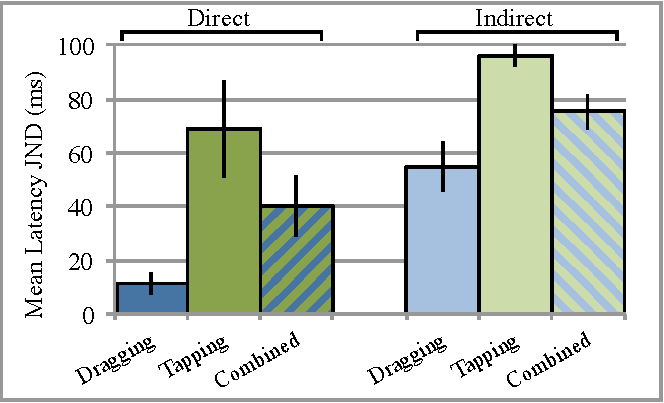 User Perception of Latency & Latency Improvements in Direct and Indirect Touch. In Proceedings of the 33rd Annual ACM Conference on Human Factors in Computing Systems (CHI ’15). ACM, New York, NY, USA, 1827-1836. Fraser Anderson, Tovi Grossman, Daniel Wigdor, and George Fitzmaurice (2015). Supporting Subtlety with Deceptive Devices and Illusory Interactions. In Proceedings of the 33rd Annual ACM Conference on Human Factors in Computing Systems (CHI ’15). ACM, New York, NY, USA, 1489-1498. Darren Leigh, Clifton Forlines, Ricardo Jota, Steven Sanders, and Daniel Wigdor (2014). High rate, low-latency multi-touch sensing with simultaneous orthogonal multiplexing. In Proceedings of the 27th annual ACM symposium on User interface software and technology (UIST ’14). ACM, New York, NY, USA, 355-364. Haijun Xia, Ricardo Jota, Benjamin McCanny, Zhe Yu, Clifton Forlines, Karan Singh, and Daniel Wigdor. (2014). Zero-latency tapping: using hover information to predict touch locations and eliminate touchdown latency. In Proceedings of the 27th annual ACM symposium on User interface software and technology (UIST ’14). ACM, New York, NY, USA, 205-214. Xiang ‘Anthony’ Chen, Tovi Grossman, Daniel Wigdor, and George Fitzmaurice. 2014. 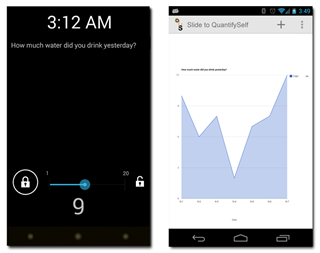 Duet: exploring joint interactions on a smart phone and a smart watch. In Proceedings of the SIGCHI Conference on Human Factors in Computing Systems (CHI ’14). ACM, New York, NY, USA, 159-168. Ricardo Jota, Pedro Lopes, Daniel Wigdor, and Joaquim Jorge 2014. Let’s Kick It: How to Stop Wasting the Bottom Third of your Large Screen Display. Conditionally accepted to appear in Proceedings of the SIGCHI Conference on Human Factors in Computing Systems (CHI ’14). ACM, New York, NY, USA. Michael Glueck, Azam Khan, and Daniel Wigdor. 2014. Dive in! 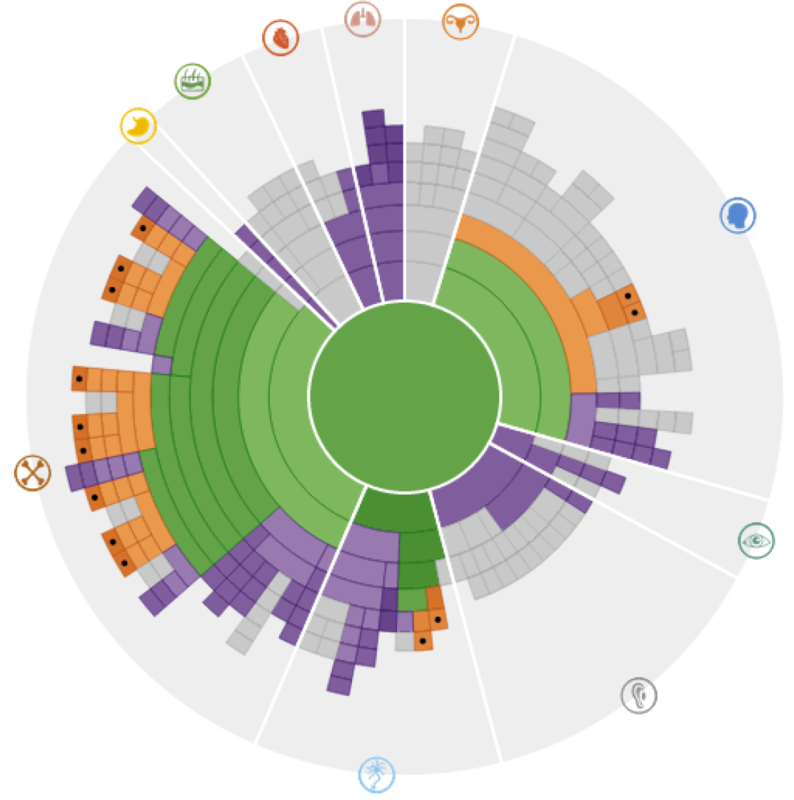 : enabling progressive loading for real-time navigation of data visualizations. In Proceedings of the SIGCHI Conference on Human Factors in Computing Systems (CHI ’14). ACM, New York, NY, USA, 561-570. Peter Hamilton and Daniel Wigdor. 2014. 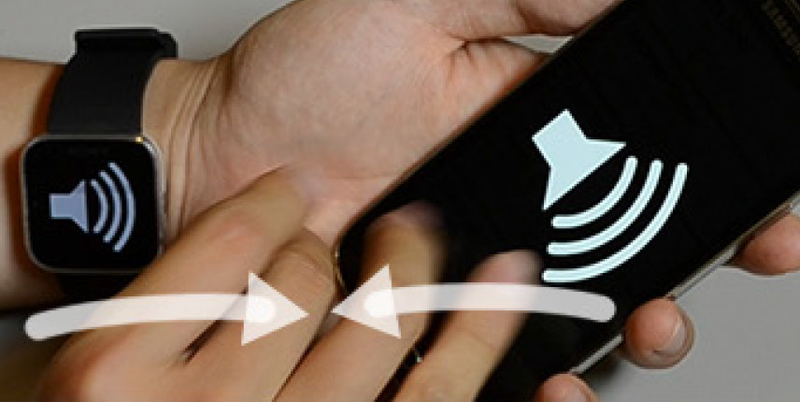 Conductor: enabling and understanding cross-device interaction. In Proceedings of the SIGCHI Conference on Human Factors in Computing Systems (CHI ’14). ACM, New York, NY, USA, 2773-2782. Khai Truong, Thariq Shihipar, and Daniel Wigdor. 2014. Slide to X: unlocking the potential of smartphone unlocking. In Proceedings of the 32nd annual ACM conference on Human factors in computing systems (CHI ’14). ACM, New York, NY, USA, 3635-3644. Jishuo Yang and Daniel Wigdor. 2014. Panelrama: enabling easy specification of cross-device web applications. In Proceedings of the SIGCHI Conference on Human Factors in Computing Systems (CHI ’14). ACM, New York, NY, USA, 2783-2792. Stephanie Santosa and Daniel Wigdor. 2013. 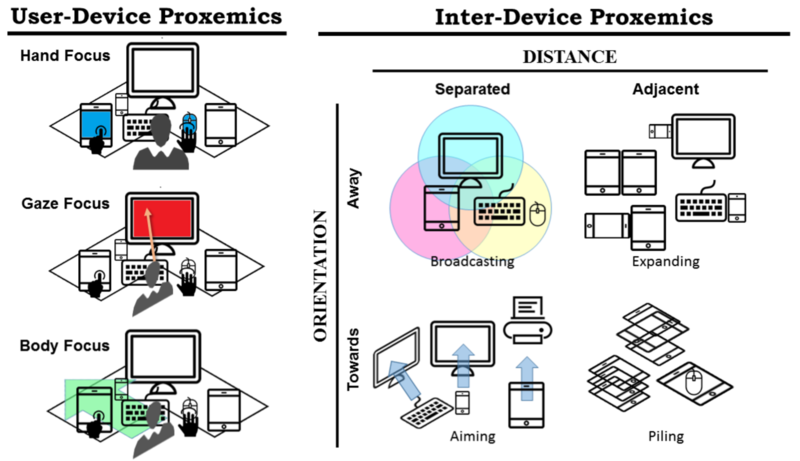 A field study of multi-device workflows in distributed workspaces. In Proceedings of the 2013 ACM international joint conference on Pervasive and ubiquitous computing (UbiComp ’13). ACM, New York, NY, USA, 63-72. Michael Glueck, Tovi Grossman & Daniel Wigdor. 2013. A Model of Navigation for Very Large Data Views. Graphics Interface (GI ’13). 8 pages. Jian Zhao, Daniel Wigdor, and Ravin Balakrishnan. 2013. 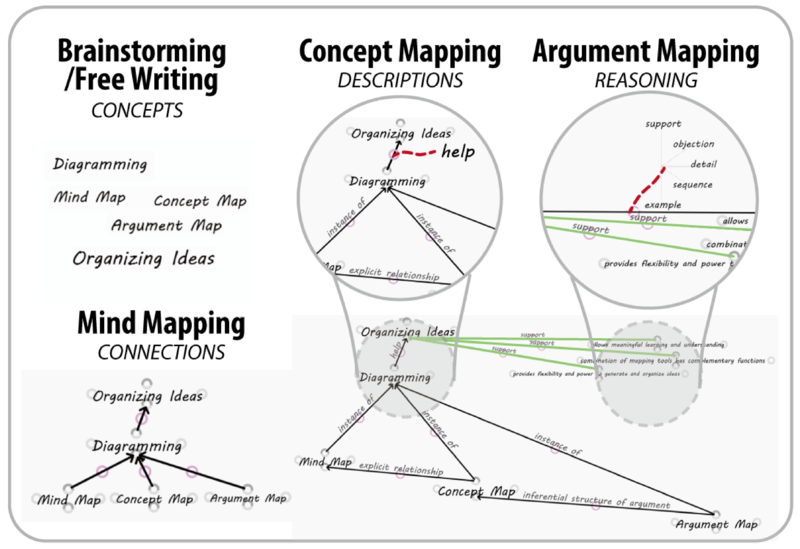 TrailMap: facilitating information seeking in a multi-scale digital map via implicit bookmarking. In Proceedings of the SIGCHI Conference on Human Factors in Computing Systems (CHI ’13). ACM, New York, NY, USA, 3009-3018. Ricardo Jota, Albert Ng, Paul Dietz, and Daniel Wigdor. 2013. How fast is fast enough? : a study of the effects of latency in direct-touch pointing tasks. In Proceedings of the SIGCHI Conference on Human Factors in Computing Systems (CHI ’13). ACM, New York, NY, USA, 2291-2300. Gilles Bailly, Thomas Pietrzak, Jonathan Deber, and Daniel J. Wigdor. 2013. Métamorphe: augmenting hotkey usage with actuated keys. In Proceedings of the SIGCHI Conference on Human Factors in Computing Systems (CHI ’13). ACM, New York, NY, USA, 563-572. Daniel Wigdor, Chia Shen, Clifton Forlines, and Ravin Balakrishnan. 2006. Table-centric interactive spaces for real-time collaboration. In Proceedings of the working conference on Advanced visual interfaces (AVI ’06). ACM, New York, NY, USA, 103-107. Albert Ng, Julian Lepinski, Daniel Wigdor, Steven Sanders, and Paul Dietz. 2012. Designing for low-latency direct-touch input. In Proceedings of the 25th annual ACM symposium on User interface software and technology (UIST ’12). ACM, New York, NY, USA, 453-464. Florian Block, Daniel Wigdor, Brenda Caldwell Phillips, Michael S. Horn, and Chia Shen. 2012. FlowBlocks: a multi-touch ui for crowd interaction. In Proceedings of the 25th annual ACM symposium on User interface software and technology (UIST ’12). ACM, New York, NY, USA, 497-508. Xing-Dong Yang, Tovi Grossman, Daniel Wigdor, and George Fitzmaurice. 2012. Magic finger: always-available input through finger instrumentation. In Proceedings of the 25th annual ACM symposium on User interface software and technology (UIST ’12). ACM, New York, NY, USA, 147-156. Gilles Bailly, Jörg Müller, Michael Rohs, Daniel Wigdor, and Sven Kratz. 2012. 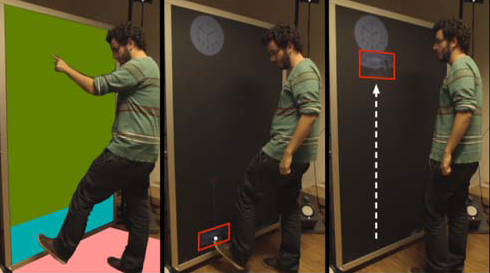 ShoeSense: a new perspective on gestural interaction and wearable applications. In Proceedings of the 2012 ACM annual conference on Human Factors in Computing Systems (CHI ’12). ACM, New York, NY, USA, 1239-1248. Adam Zarek, Daniel Wigdor, and Karan Singh. 2012. SNOUT: one-handed use of capacitive touch devices. In Proceedings of the International Working Conference on Advanced Visual Interfaces(AVI ’12), Genny Tortora, Stefano Levialdi, and Maurizio Tucci (Eds.). ACM, New York, NY, USA, 140-147. Michelle Annett, Tovi Grossman, Daniel Wigdor, and George Fitzmaurice. 2011. Medusa: a proximity-aware multi-touch tabletop. In Proceedings of the 24th annual ACM symposium on User interface software and technology (UIST ’11). ACM, New York, NY, USA, 337-346. Shaun K. Kane, Meredith Ringel Morris, Annuska Z. Perkins, Daniel Wigdor, Richard E. Ladner, and Jacob O. Wobbrock. 2011. 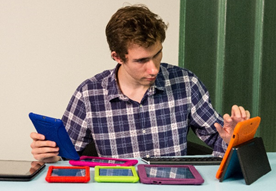 Access overlays: improving non-visual access to large touch screens for blind users. In Proceedings of the 24th annual ACM symposium on User interface software and technology (UIST ’11). ACM, New York, NY, USA, 273-282. Leah Findlater, Jacob O. Wobbrock, and Daniel Wigdor. 2011. 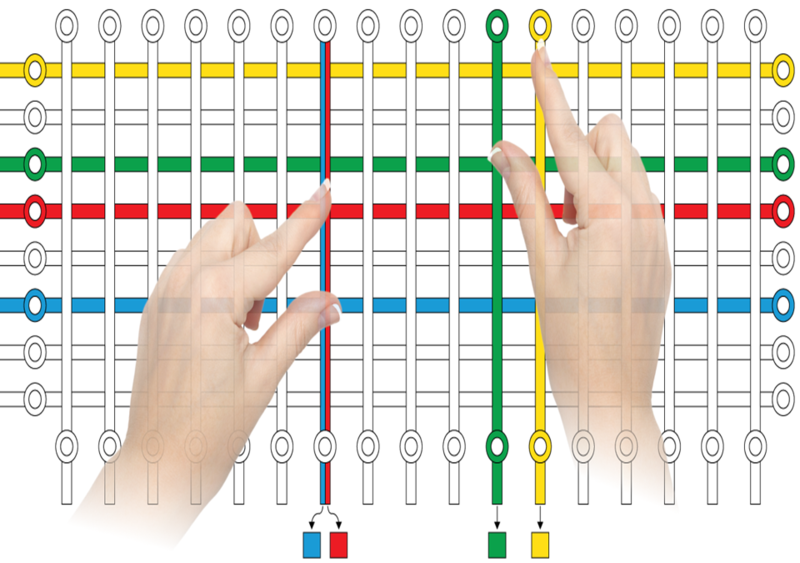 Typing on flat glass: examining ten-finger expert typing patterns on touch surfaces. In Proceedings of the SIGCHI Conference on Human Factors in Computing Systems (CHI ’11). ACM, New York, NY, USA, 2453-2462. Daniel Wigdor, Hrvoje Benko, John Pella, Jarrod Lombardo, and Sarah Williams. 2011. 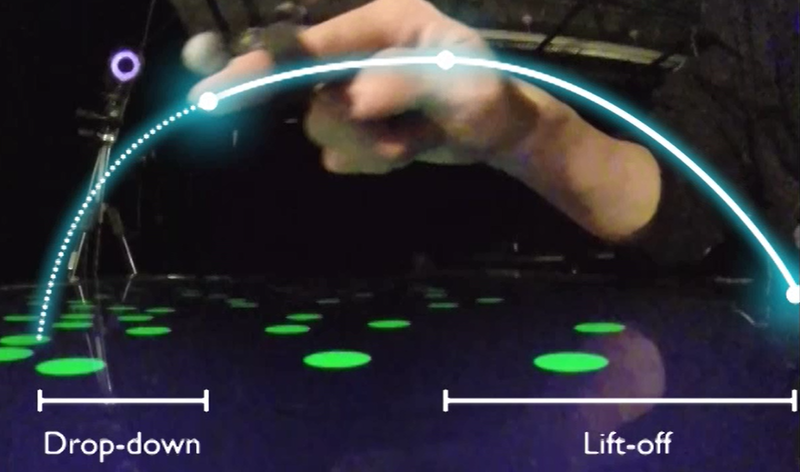 Rock & rails: extending multi-touch interactions with shape gestures to enable precise spatial manipulations. In Proceedings of the SIGCHI Conference on Human Factors in Computing Systems (CHI ’11). ACM, New York, NY, USA, 1581-1590. Tao Ni, Amy K. Karlson, and Daniel Wigdor. 2011. AnatOnMe: facilitating doctor-patient communication using a projection-based handheld device. In Proceedings of the SIGCHI Conference on Human Factors in Computing Systems (CHI ’11). ACM, New York, NY, USA, 3333-3342. Andrew Bragdon, Arman Uguray, Daniel Wigdor, Stylianos Anagnostopoulos, Robert Zeleznik, and Rutledge Feman. 2010. Gesture play: motivating online gesture learning with fun, positive reinforcement and physical metaphors. In ACM International Conference on Interactive Tabletops and Surfaces (ITS ’10). ACM, New York, NY, USA, 39-48. Meredith Ringel-Morris, Danyel Fisher, Daniel Wigdor. 2010. Search on Surfaces: Exploring the Potential of Interactive Tabletops for Collaborative Search Tasks. Journal of Information Processing and Management 46 (6), November, 2010, 703-717. Meredith Ringel Morris, Jarrod Lombardo, and Daniel Wigdor. 2010. 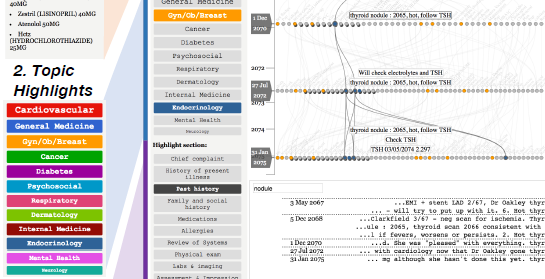 WeSearch: supporting collaborative search and sensemaking on a tabletop display. In Proceedings of the 2010 ACM conference on Computer supported cooperative work (CSCW ’10). ACM, New York, NY, USA, 401-410. Dustin Freeman, Hrvoje Benko, Meredith Ringel Morris, and Daniel Wigdor. 2009. 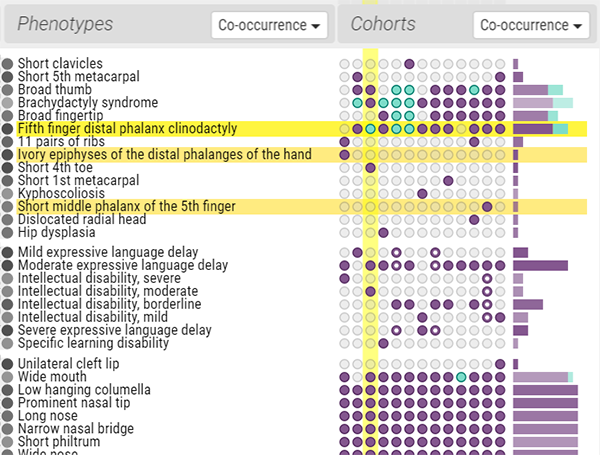 ShadowGuides: visualizations for in-situ learning of multi-touch and whole-hand gestures. In Proceedings of the ACM International Conference on Interactive Tabletops and Surfaces (ITS ’09). ACM, New York, NY, USA, 165-172. Daniel Wigdor, Sarah Williams, Michael Cronin, Robert Levy, Katie White, Maxim Mazeev, and Hrvoje Benko. 2009. Ripples: utilizing per-contact visualizations to improve user interaction with touch displays. In Proceedings of the 22nd annual ACM symposium on User interface software and technology (UIST ’09). ACM, New York, NY, USA, 3-12. Daniel Wigdor, Hao Jiang, Clifton Forlines, Michelle Borkin, and Chia Shen. 2009. WeSpace: the design development and deployment of a walk-up and share multi-surface visual collaboration system. In Proceedings of the SIGCHI Conference on Human Factors in Computing Systems (CHI ’09). ACM, New York, NY, USA, 1237-1246. Hao Jiang, Daniel Wigdor, Clifton Forlines, Chia Shen. 2008. System design for the WeSpace: Linking personal devices to a table-centered multi-user, multi-surface environment, Horizontal Interactive Human Computer Systems, 2008. TABLETOP 2008. 3rd IEEE International Workshop on , pp.97-104. Peter Brandl, Clifton Forlines, Daniel Wigdor, Michael Haller, and Chia Shen. 2008. Combining and measuring the benefits of bimanual pen and direct-touch interaction on horizontal interfaces. In Proceedings of the working conference on Advanced visual interfaces (AVI ’08). ACM, New York, NY, USA, 154-161. Daniel Wigdor, Gerald Penn, Kathy Ryall, Alan Esenther, Chia Shen.2007. Living with a Tabletop: Analysis and Observations of Long Term Office Use of a Multi-Touch Table. Horizontal Interactive Human-Computer Systems, 2007. TABLETOP ’07. Second Annual IEEE International Workshop on, 60-67. Tovi Grossman, Daniel Wigdor. Going Deeper: a Taxonomy of 3D on the Tabletop (2007). Horizontal Interactive Human-Computer Systems, 2007. TABLETOP ’07. Second Annual IEEE International Workshop on, 137-144. Daniel Wigdor, Clifton Forlines, Patrick Baudisch, John Barnwell, and Chia Shen. 2007. Lucid touch: a see-through mobile device. In Proceedings of the 20th annual ACM symposium on User interface software and technology (UIST ’07). ACM, New York, NY, USA, 269-278. Daniel Wigdor, Chia Shen, Clifton Forlines, and Ravin Balakrishnan. 2007. Perception of elementary graphical elements in tabletop and multi-surface environments. In Proceedings of the SIGCHI Conference on Human Factors in Computing Systems (CHI ’07). ACM, New York, NY, USA, 473-482. Tovi Grossman, Daniel Wigdor, and Ravin Balakrishnan. 2007. Exploring and reducing the effects of orientation on text readability in volumetric displays. In Proceedings of the SIGCHI Conference on Human Factors in Computing Systems (CHI ’07). ACM, New York, NY, USA, 483-492. Clifton Forlines, Daniel Wigdor, Chia Shen, and Ravin Balakrishnan. 2007. Direct-touch vs. mouse input for tabletop displays. In Proceedings of the SIGCHI Conference on Human Factors in Computing Systems (CHI ’07). ACM, New York, NY, USA, 647-656. Clifton Forlines, Chia Shen, Daniel Wigdor, and Ravin Balakrishnan. 2006. 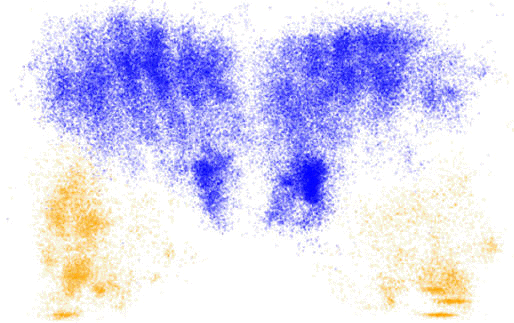 Exploring the effects of group size and display configuration on visual search. In Proceedings of the 2006 20th anniversary conference on Computer supported cooperative work (CSCW ’06). ACM, New York, NY, USA, 11-20. Daniel Wigdor, Darren Leigh, Clifton Forlines, Samuel Shipman, John Barnwell, Ravin Balakrishnan, and Chia Shen. 2006. Under the table interaction. In Proceedings of the 19th annual ACM symposium on User interface software and technology (UIST ’06). ACM, New York, NY, USA, 259-268. Clifton Forlines, Alan Esenther, Chia Shen, Daniel Wigdor, and Kathy Ryall. 2006. 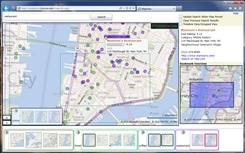 Multi-user, multi-display interaction with a single-user, single-display geospatial application. In Proceedings of the 19th annual ACM symposium on User interface software and technology (UIST ’06). ACM, New York, NY, USA, 273-276. Daniel Wigdor, Chia Shen, Clifton Forlines, and Ravin Balakrishnan. 2006. Effects of display position and control space orientation on user preference and performance. In Proceedings of the SIGCHI Conference on Human Factors in Computing Systems (CHI ’06), Rebecca Grinter, Thomas Rodden, Paul Aoki, Ed Cutrell, Robin Jeffries, and Gary Olson (Eds.). ACM, New York, NY, USA, 309-318. Mark Hancock, Frederic Vernier, Daniel Wigdor, Sheilagh Carpendale, Chia Shen. (2006). Rotation and translation mechanisms for tabletop interaction. Proceedings of the First IEEE International Workshop on Horizontal Interactive Human-Computer Systems, pp. 79-86. Daniel Wigdor and Ravin Balakrishnan. 2005. Empirical investigation into the effect of orientation on text readability in tabletop displays. In Proceedings of the ninth conference on European Conference on Computer Supported Cooperative Work (ECSCW’05), Hans Gellersen, Kjeld Schmidt, Michel Beaudouin-Lafon, and Wendy Mackay (Eds.). Springer-Verlag New York, Inc., New York, NY, USA, 205-224. Tovi Grossman, Daniel Wigdor, and Ravin Balakrishnan. 2004. 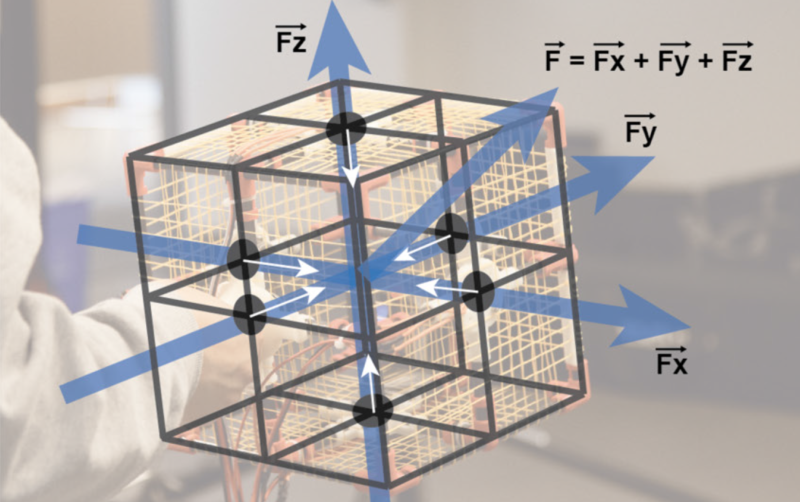 Multi-finger gestural interaction with 3d volumetric displays. In Proceedings of the 17th annual ACM symposium on User interface software and technology (UIST ’04). ACM, New York, NY, USA, 61-70. Daniel Wigdor and Ravin Balakrishnan. 2004. A comparison of consecutive and concurrent input text entry techniques for mobile phones. In Proceedings of the SIGCHI Conference on Human Factors in Computing Systems (CHI ’04). ACM, New York, NY, USA, 81-88. Daniel Wigdor and Ravin Balakrishnan. 2003. 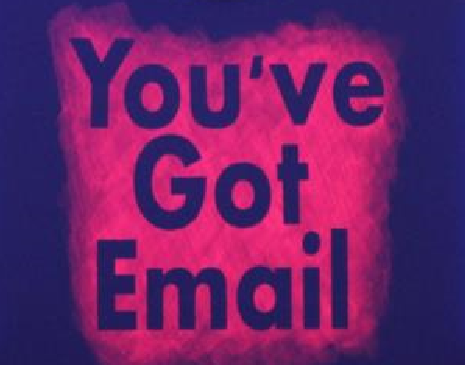 TiltText: using tilt for text input to mobile phones. In Proceedings of the 16th annual ACM symposium on User interface software and technology (UIST ’03). ACM, New York, NY, USA, 81-90.
m. c. schraefel, Yuxiang Zhu, David Modjeska, Daniel Wigdor, and Shengdong Zhao. 2002. Hunter gatherer: interaction support for the creation and management of within-web-page collections. In Proceedings of the 11th international conference on World Wide Web (WWW ’02). ACM, New York, NY, USA, 172-181.
m. c. schraefel, Daniel Wigdor, Yuxiang Zhu, and David Modjeska. 2002. Hunter gatherer: within-web-page collection making. 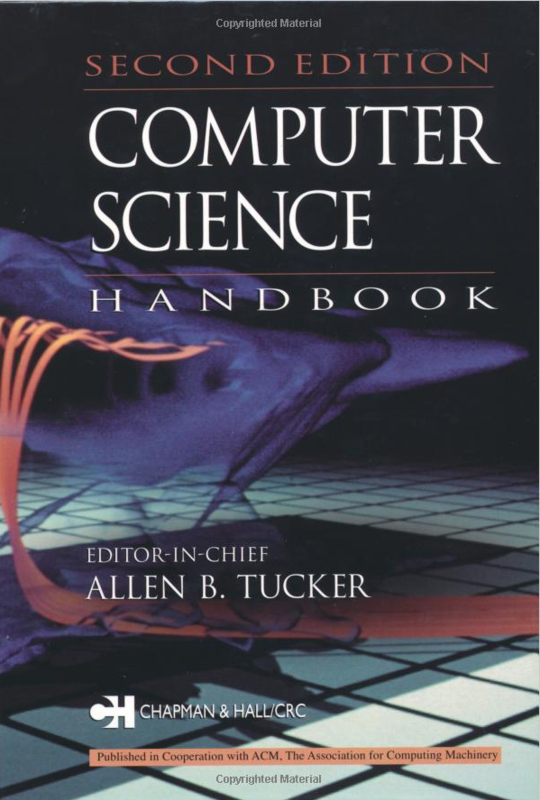 In CHI ’02 Extended Abstracts on Human Factors in Computing Systems (CHI EA ’02). ACM, New York, NY, USA, 826-827. Chia Shen, Kathy Ryall, Clifton Forlines, Alan Esenther, Frederic Vernier, Kate Everitt, Mike Wu, Daniel Wigdor, Meredith Ringel Morris, Mark S. Hancock, Edward Tse. (2006). IEEE Computer Graphics and Applications, 26(5) (Sept/Oct 2006), 36-46. Hao Jiang, Daniel Wigdor, Clifton Forlines, Michelle Borkin, Jens Kauffmann, and Chia Shen. 2008. LivOlay: interactive ad-hoc registration and overlapping of applications for collaborative visual exploration. In Proceedings of the SIGCHI Conference on Human Factors in Computing Systems (CHI ’08). ACM, New York, NY, USA, 1357-1360. Addem works to build prototyping tools to enable makers and others to instantly print working, copper PCB’s, building on Print’em, developed by my PhD student, Varun Perumal. Addem was founded thanks in part to a startup award from the Connaught Fund. More information may be found at addem.io. Chatham Labs performs contract human-computer interaction research for those inventing the future of human-computer interaction. A typical client is one who is developing new technologies, and is looking towards a commercialization path. Chatham works to develop new human-interface technologies into real products; hardware, software, system architectures, and interaction methods. It is based in Toronto, with clients in Seattle and Silicon Valley. More information may be found at Chatham.to. Tactual Labs was formed in 2013 to commercialize our work in touch and gestural interface technologies. Today, it has offices in New York, Toronto, Austin, Virginia, Orlando, and Portland, Maine. 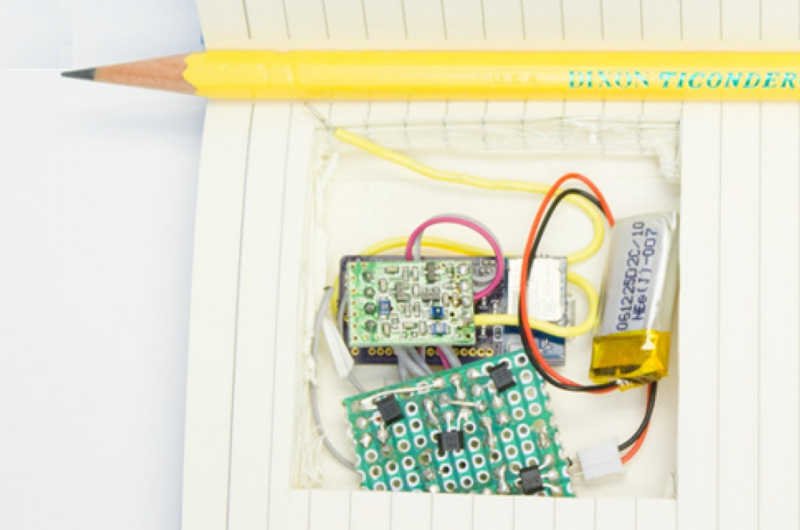 Tactual Labs brings human sensing to and around every surface. Tactual technology surrounds flat or free-form objects with accurate, real-time in-air, skeletal and contact sensing. 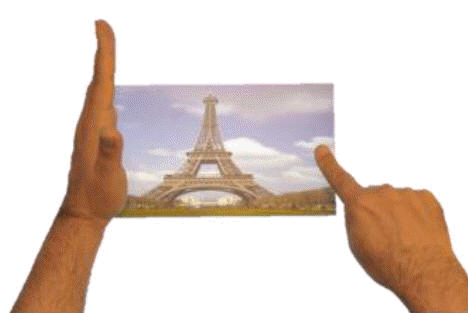 Tactual technology “sees” the human hand and body in 3D from every point on an object’s surface. Tactual solutions are deployed to development partners, empowering digital platforms across a variety of markets including mixed reality, surface computing, mobility, automotive, consumer electronics, and robotics. More information may be found at TactualLabs.com. Daniel Wigdor and Dennis Wixon, 2013. 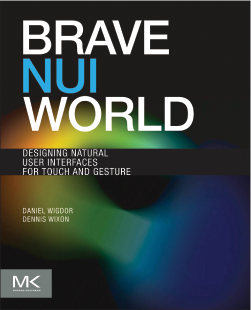 Brave NUI World: Designing Natural User Interfaces for Touch and Gesture (Korean Edition). Morgan Kaufmann Publishers Inc., San Francisco, CA, USA. ISBN: 9788994774169. Daniel Wigdor and Dennis Wixon, 2013. 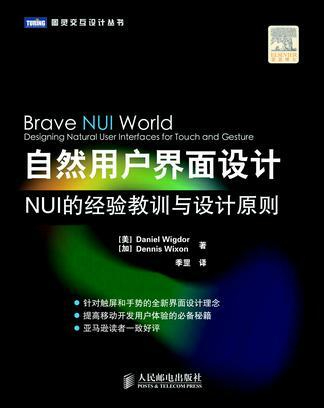 Brave NUI World: Designing Natural User Interfaces for Touch and Gesture (Chinese Edition). Morgan Kaufmann Publishers Inc., San Francisco, CA, USA. ISBN: 9787115293060. Ken Hinckley, Robert J. K. Jacob, Colin Ware, Jacob Wobbrock, Daniel Wigdor. Input/output devices and interaction techniques. In Computer Science Handbook, Third Edition. Allen B. Tucker (Ed.). Chapman & Hall/CRC. Danvers, MA. ISBN: 978-1439898703. Ken Hinckley and Daniel Wigdor (2011). Input Technologies and Techniques. 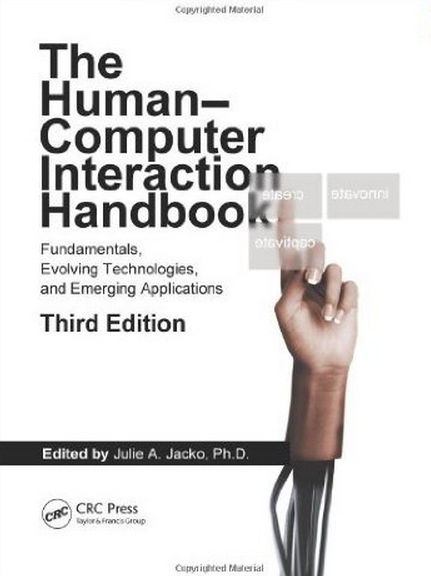 In The Human-Computer Interaction Handbook: Fundamentals, Evolving Technologies and Emerging Applications, Third Edition. Andrew Sears and Julie A. Jacko (eds). CRC Press. ISBN: 978-1439829431. Daniel Wigdor and Dennis Wixon. 2011. Brave NUI World: Designing Natural User Interfaces for Touch and Gesture. Morgan Kaufmann Publishers Inc., San Francisco, CA, USA. ISBN: 978-0123822314. Tovi Grossman & Daniel Wigdor (2010). 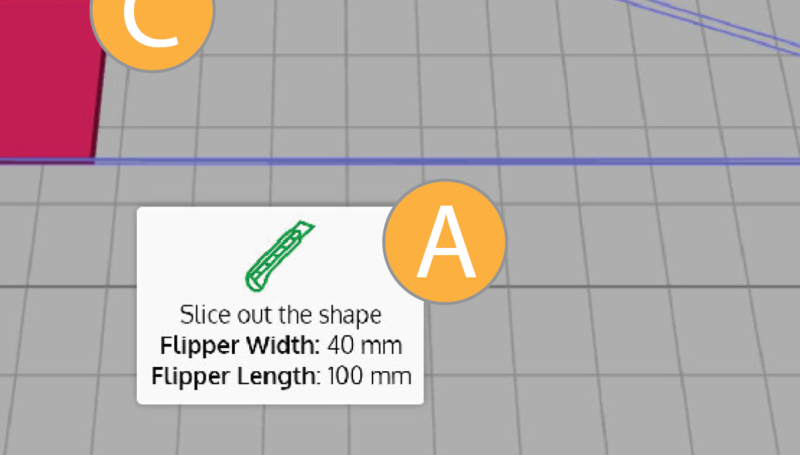 On, Above, and Beyond: Taking Tabletops to the Third Dimension. 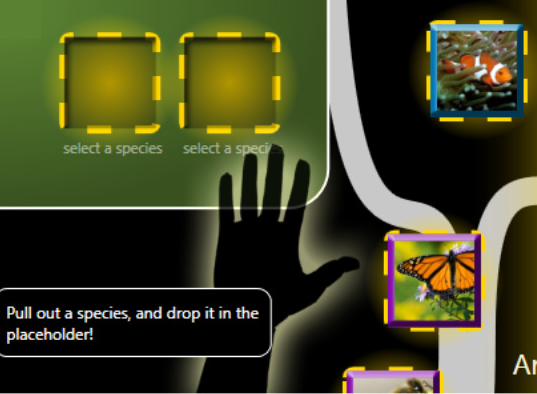 In Tabletops – Horizontal Interactive Displays. Christian Mueller-Tomfelde (ed.). Springer. ISBN: 978-1-84996-112-7. Hrvoje Benko & Daniel Wigdor (2010). 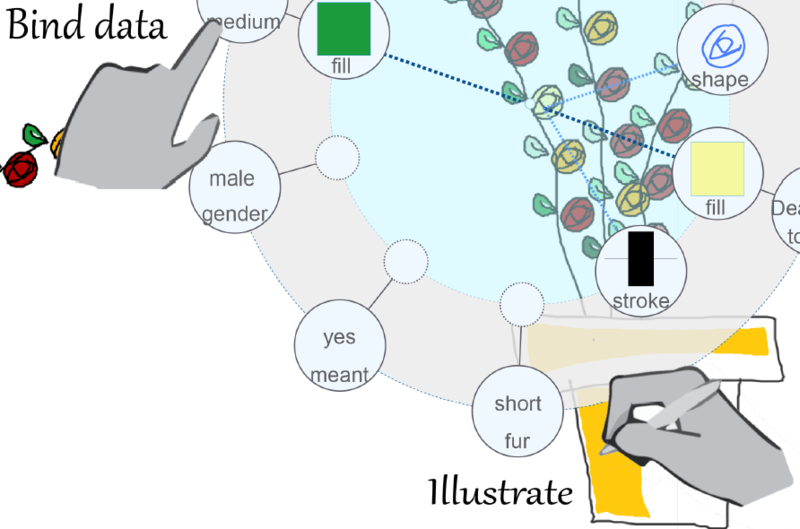 Imprecision, Inaccuracy, and Frustration: The Tale of Touch Input. 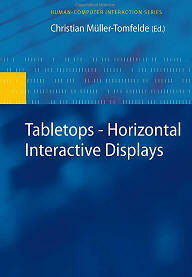 In Tabletops – Horizontal Interactive Displays. Christian Mueller-Tomfelde (ed.). Springer. ISBN: 978-1-84996-112-7. Chia Shen, Kathy Ryall, Clifton Forlines, Alan Esenther, Frédéric Vernier, Katherine Everitt, Mike Wu, Daniel Wigdor, Meredith Ringel Morris, Mark Hancock, and Edward Tse (2008). Collaborative Tabletop Research and Evaluation. 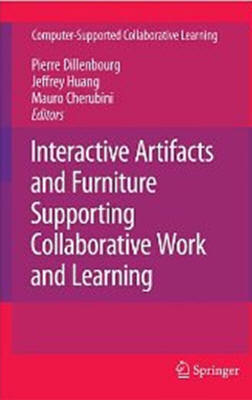 In Interactive Artifacts and Furniture Supporting Collaborative Work and Learning. Pierre Dillenbourg, Jeffrey Huang, and Mauro Cherubini (Eds). Springer. ISBN 978-1441945815. Yang, X-D., Grossman, T., Wigdor, D., Fitzmaurice, G. (pending). Always available input through finger instrumentation. US patent application no. 14/044,678. Washington, DC: US Patent and Trademark Office. Annett, M., Grossman, T., Wigdor, D., Fitzmaurice, G. (pending). Proximity-aware multi-touch tabletop. US patent application no. US 13/651,263. Washington, DC: US Patent and Trademark Office. Annett, M., Grossman, T., Wigdor, D., Fitzmaurice, G. (pending). Proximity-aware Multi-touch tabletop US patent application no. US 13/651,257. Washington, DC: US Patent and Trademark Office. Wigdor, D., Sanders, S., Costa, R., Forlines, C. (pending). Hybrid systems and methods for low-latency user input processing and feedback. US patent application no. US 61/710,256, 14/046,819, 14/046,823. PCT application no. PCT/US13/63569. Washington, DC: US Patent and Trademark Office. Hoover, P., Sivaji, V., Lombardo, J., Wigdor, D. Snapping user interface elements based on touch input. US patent application number 12/907,887. Washington, DC: US Patent and Trademark Office. Wigdor, D.,Tedesco, M., Wilson, A., Clavin, J. (2012). Integrated virtual environment. US patent application number 13/084,786. Washington, DC: US Patent and Trademark Office. Tedesco, M., Wigdor, D. (2012). 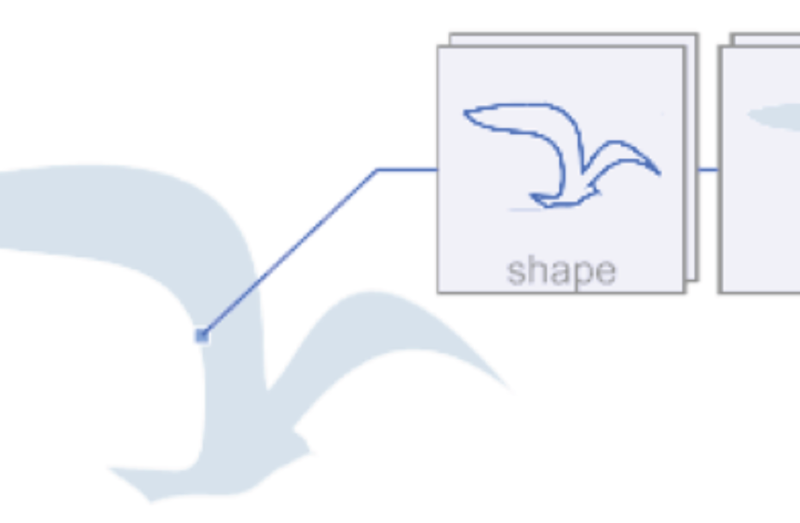 Theme-based augmentation of photorepresentative view. US patent application number 13/044,895. Washington, DC: US Patent and Trademark Office. Clavin, J., Tedesco, M., Wigdor, D. (2012). Augmented view of advertisements. US patent no. 8,670,183. Washington, DC: US Patent and Trademark Office. Perkins, A., Hayes, S., Morris., M., Wigdor, D., Lombardo, J., Aumiller, C. (2011). Tactile tile vocalization. US patent application number 12/791,962. Washington, DC: US Patent and Trademark Office. Benko, H., Freeman, D., Wigdor, D. (2011). Interfacing with a computing application using a multi-digit sensor. US patent application number 12/767,804. Washington, DC: US Patent and Trademark Office. Wigdor, D., Morris, M., Larco, V., Lombardo, J., McDirmid, S., LaRue, M., Gil, E., Lobardo, J. (2011). Collaborative search and share. US patent application number 12/771,282. Washington, DC: US Patent and Trademark Office. Hoover, P., Oustiougov, M., Wigdor, D., Benko, H., Lombardo, J. (2011). Hand posture mode constraints on touch input. US patent application number 12/650,089. Washington, DC: US Patent and Trademark Office. Wigdor, D., Lombardo, J., Perkins, A.G.Z., Hayes, S. (2011). 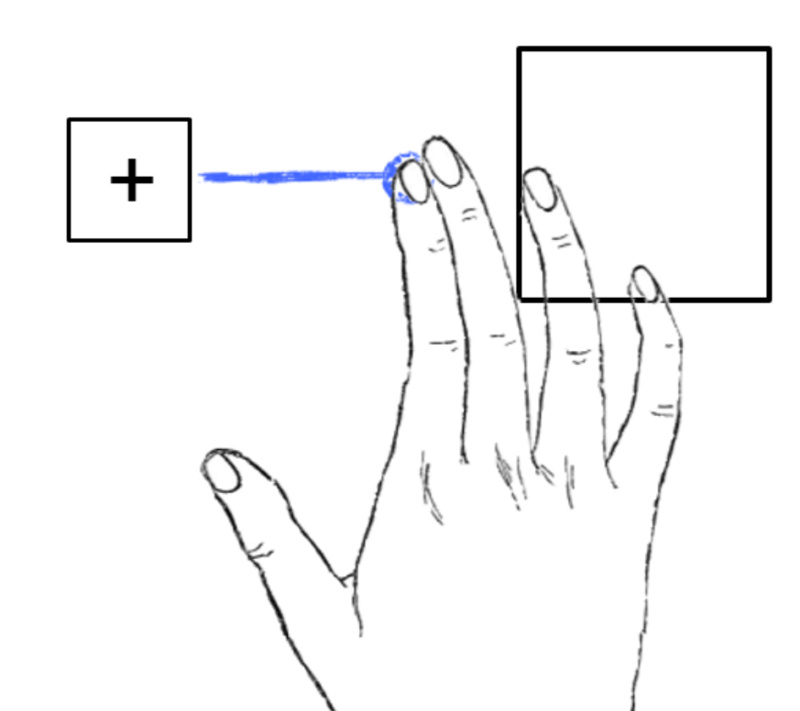 Three-state touch input system. US patent application number 12/630,381. Washington, DC: US Patent and Trademark Office. Wigdor, D., Hofmeester, G., Hoover, P. (2011). Multi-modal interaction on multi-touch display. US patent no. 8,487,888. Washington, DC: US Patent and Trademark Office. Benko, H., Wigdor, D. (2011). Teaching gesture initiation with registration posture guides. US patent application number 12/619,585. Washington, DC: US Patent and Trademark Office. Benko, H., Wigdor, D., Freeman, D. (2011). Teaching gestures with offset contact silhouettes. US patent application number 12/619,584. Washington, DC: US Patent and Trademark Office. Cordon, L., Levy, R., Ramani, S., Wigdor, D., Wu, J., Middleton, I., Hoover, P., Subramaniam, S., Pessoa, C. (2011). Interactive display system with contact geometry interface. US patent no. 8,390,600. Washington, DC: US Patent and Trademark Office. Wigdor, D., Hoover, P. (2011). Displaying GUI elements on natural user interfaces. US patent no. 8,261,212. Washington, DC: US Patent and Trademark Office. Larco, V., Wigdor, D., Williams, S. (2011). Manipulation of graphical elements via gestures. US patent application number 12/541,795. Washington, DC: US Patent and Trademark Office. Wigdor, D. (2011) Natural input trainer for gestural instruction. US patent application number 12/619,575. Washington, DC: US Patent and Trademark Office. Wigdor, D. (2010). Controlling touch input modes. US patent application number 12/479,031. Washington, DC: US Patent and Trademark Office. Levy, R., Williams, S., Cronin, M., Mazeev, M., Beatty, B., Wigdor, D. (2010). Visual response to touch inputs. US patent no. 8,446,376. Washington, DC: US Patent and Trademark Office. Wigdor, D., Leigh, D., Forlines, C., Shen, C., Barnwell, J., Shipman, S. (2007). Inverted direct touch sensitive input devices. US patent application number 11/455,150. Washington, DC: US Patent and Trademark Office. Forlines, C., Esenther, A., Shen, C., Wigdor, D., Ryall, K. (2007). Method and system for adapting a single-client, single-user application to a multi-user, multi-client environment. US patent application number 11/430,234. Washington, DC: US Patent and Trademark Office. Daniel Wigdor is an associate professor of computer science and the NSERC-Facebook Industrial Research Chair in Human-Machine Interaction, conducting his research in the Dynamic Graphics Project at the University of Toronto. His research is in the area of human-computer interaction, with major areas of focus in the architecture of highly-performant UI’s, in interaction and application models for mobile computing, in development methods for ubiquitous computing, and in post-WIMP interaction methods. 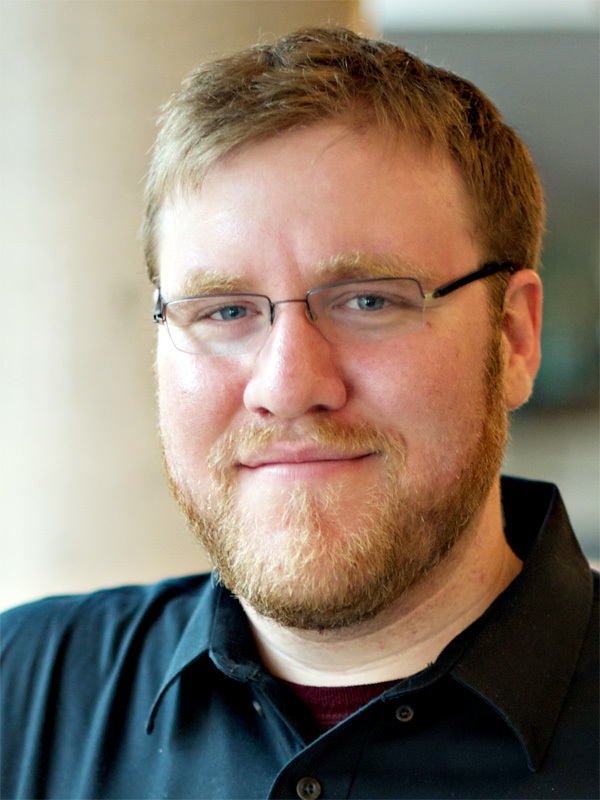 Before joining the faculty at U of T in 2011, Daniel was a researcher at Microsoft Research, the user experience architect of the Microsoft Surface Table, and a company-wide expert in user interfaces for new technologies (2008-2010). Daniel has also served as a visiting associate professor at Cornell Tech (2017-2018), as an affiliate assistant professor at the University of Washington (2009-2011), and fellow and associate at Harvard University (2007-2008, 2011-2012). He also conducted research as an intern at Mitsubishi Electric Research Labs (2005-2008). For his research, he has been awarded an Ontario Early Researcher Award (2014) and the Alfred P. Sloan Foundation’s Research Fellowship (2015), as well as best paper awards or honorable mentions at CHI 2019, CHI 2018, CHI 2017, CHI 2016, CHI 2015, CHI 2014, Graphics Interface 2013, CHI 2011, and UIST 2004. Three of his projects were selected as the People’s Choice Best Talks at CHI 2014 and CHI 2015. Daniel is co-founder of Iota Wireless, a startup commercializing his research in mobile-phone gestural interaction, of Addem, a startup commercializing his team’s work in printed circuit board fabrication methods, of Tactual Labs, a startup commercializing his research in high-performance, low-latency user input, and of Chatham Labs, an HCI research consultancy. Daniel is the co-author of Brave NUI World | Designing Natural User Interfaces for Touch and Gesture, the first practical book for the design of touch and gesture interfaces (available in English, Chinese, and Korean). He has also published dozens of other works as invited book chapters and papers in leading international journals and conferences, and is a named inventor on over four dozen patents and pending patent applications. Daniel’s is soughtafter as an expert witness, and has testified before courts and commissions in the United Kingdom and the United States. Further information, including publications and videos demonstrating some of his research, can be found at www.dgp.toronto.edu/~dwigdor.